Africa in Words is very excited to be back at the Edinburgh International Book Festival this year, “the world’s largest public celebration of the written word, right in the heart of Edinburgh”. Tickets for all events are available now from the box office, as is the full 2014 programme, both accessible via the Books Festival website. Twenty years si nce the end of apartheid, South Africa is still struggling to make sense of itself as a democracy. Yet despite its political troubles (or perhaps because of them?) the country is building a powerful community of novelists and writers whose work is now making waves internationally. Alongside Mpho Tutu, literary heavyweights Damon Galgut and Zakes Mda join us in 2014, along with the brilliant crime writer Margie Orford, stunning debuts from C A Davids and Rosie Rowell, bestselling thriller writer Lauren Beukes and one of the fastest rising new stars of the South African scene, Niq Mhlongo. Looking forward to returning arms-full with stocks from the two independent Books Fest bookshops, as well as hanging out and general literary spotting in the lovely Charlotte Sq. On the opening day of the Book Fest, Lauren Beukes, whose international star continues to rise with her latest novel Broken Monsters (Umuzi; Harper-Collins, 2014), returns to Edinburgh, after the impact of her appearances last year (with both her ‘high-concept fiction’ The Shining Girls and her graphic novel, Fairest – read our AiW discussion of the 2013 events by Prof. James Smith). Watch: a short video trailer for Broken Monsters. 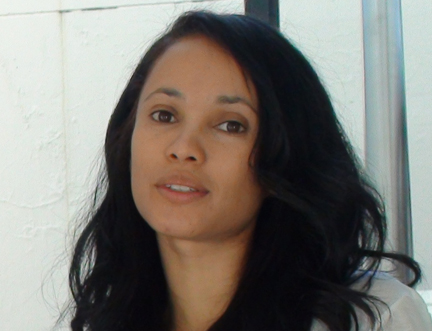 Beukes is joined by Modjaji author C. A. Davids, who will be presenting her first novel The Blacks of Cape Town (2013), described as a highly assured debut, tracing family history from the diamond mine in Kimberley to contemporary South Africa. Niq Mhlongo, “… one of the most high-spirited and irreverent new voices of South Africa’s post-apartheid literary scene” (New York Times) and author of the highly acclaimed Dog Eat Dog (Kwela, 2004) and After Tears (Kwela, 2011), will be discussing his latest novel Way Back Home ­– billed as a critique of South Africa’s political elite, the cult of tenderpreneurship and the clashes between those finding ‘home’ in South Africa since 1994, Mhlongo uses the form to explore the significance of culture and belief in postapartheid times. DAMON GALGUT – A PASSAGE TO SELF-KNOWLEDGE? Damon Galgut, whose In a Strange Room (2010) I found to be an affecting, abstract and troubling, beautifully tender portrayal of loneliness and rootlessness, will discuss Arctic Summer (Umuzi, 2014) at the Book Fest, a fictionalisation of E.M. Forster’s travels to India and the author’s 14 year silence between Howards End and A Passage to India in 1924. Galgut’s novel traces connections between Forster’s stays in Egypt and India and the romantic, homosexual friendships he made in each location. Galgut’s reading workshop, which will take a close look at Forster’s classic A Passage to India, is sold out – but the website advises to check for returns closer to the time. One of the most important contemporary South African novelists, the prolific and equally acclaimed Zakes Mda will be ranging across his output of more than 20 novels and plays, including his latest, The Sculptors of Mapungubwe (Kwela, 2013), Mda’s first novel since 2009’s bestselling Black Diamond. Listen: Podcast of Mda talking to Jenny Crwys-Williams about The Sculptors of Mapungubwe, its sequel and the new book he is working on, via BooksLive. The 2014 Books Fest programme also catches the trend of new African crime writing. Margie Orford, ‘the Queen of South African crime fiction’, presents the latest in her Clare Hart crime series, Water Music (Jonathan Ball, 2013). A fascinating figure, Orford is also an award-winning journalist, photographer, film director, children’s author and Fulbright scholar, who was detained as a student activist during the State of Emergency in 1985 and completed her finals in prison: her concerns, particularly in regards to violence against women and children, are clearly reflected in Water Music, in which a series of young women and girls disappear in and around Table Mountain, and government support for agencies set up to help are dismantled in the face of increasing corruption and state violence. 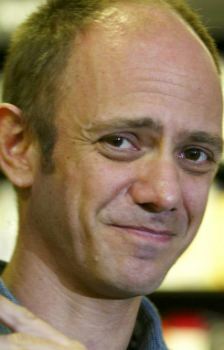 Orford is joined by Parker Bilal, the crime fiction pen-name of literary novelist Jamal Mahjoub. The Ghost Runner (Bloomsbury, 2014) is the third in the series featuring Bilal’s Sudanese detective Makana, a refugee living on a dilapidated houseboat in Cairo, and portrays the violence in Egypt after 9/11. Elaine Proctor has a distinguished career as an activist documentary and filmmaker (she won the Cannes Mention Speciale – Prix de Camera D’Or, and has created TV series for the BBC) and will be discussing her second novel at the Books Fest, The Savage Hour (Quercus), in which a gay Afrikaans detective strives to understand the death of an aging matriarch physician on a small holding in the South African countryside; she will be appearing with Rosie Rowell, and her debut novel Leopold Blue (Hot Key Books). Set in the recent history of 1990s South Africa, Rowell “gives us a perfectly drawn portrait of a restless teenager with small-town syndrome” (see this review by Laura Brewis in full at Cuckoo Review). Mpho Tutu has had to cancel her Edinburgh International Book Festival 2014 event. Please contact the Book Fest Box Office with any queries. In an event held in association with the Centre of African Studies at the University of Edinburgh, the Reverend Mpho Tutu will be talking to Ruth Wishart about The Book of Forgiving (Harper-Collins, 2014), written with her father, Archbishop Desmond Tutu and widely hailed as a practical meditation and guide to the simple, and necessary, art of forgiveness. Both Mark Gevisser and Maxim Leo grew up in countries now barely recognisable from the ones they experienced during childhood. In Dispatcher, Gevisser delivers an impassioned meditation on South Africa, home and identity, based on his 1970s upbringing in Johannesburg. Meanwhile Leo has written Red Love, a fascinating memoir looking back at his childhood in East Berlin, revealing a GDR full of hopes, dreams and betrayals. Nelson Mandela’s death was not just a loss for South Africa but for people all over the world who are fighting for freedom, justice and for an end to discrimination. As a world leader who refused to accept injustice, Mandela’s courage helped change our world. We hear some of his work, and from those he inspired, with readings from some of our Festival authors. Meet two authors who write intelligent novels, often inspired by little-known moments in history. Both The Fastest Boy in the World by Elizabeth Laird and Black Dove, White Raven by Elizabeth Wein have settings in Ethiopia. Join these talented authors as they talk history, research and writing books that travel from the Second World War to The Crusades via Africa, Europe and the Middle East. 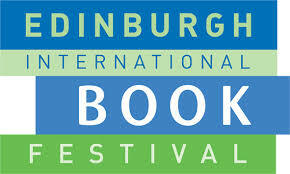 AiW coverage of last year’s Edinburgh International Book Festival. What’s on this year, including the innovative theatre commission Letters Home, featuring work by Chimamanda Ngozi Adichie. The Voices from South Africa theme.